I like the idea of having a whole birthday month. I have to work on my birthday anyway, so might as well spread out the fun throughout the whole month of May. Last weekend, I arranged to have my barn-shed painted. My handyman has a sprayer and it was just easier to pay him to do it than rent a sprayer from Home Depot 40 minutes away. It took him and his helper around 6 hours to do it but it is finished and finally completely protected from the weather, even that top back panel I couldn't reach last year. It still needs the trim painted white but I can do that later myself. 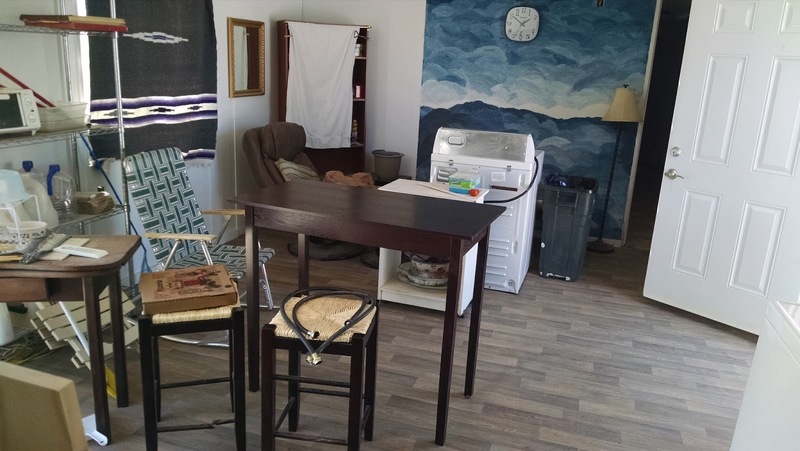 While they were painting, I was inside the mobile home cleaning up after the tenant who didn't exactly leave the place spotless. Ok, so it wasn't exactly spotless when he moved in last July either. There was dust on everything and I only got 2/3 of if clean. I'll go out again next month after I get my water tank, get water delivered, and after my nephew leaves. Earlier that morning, at 3am to be exact, I had looked at Facebook after letting my dog out to pee. 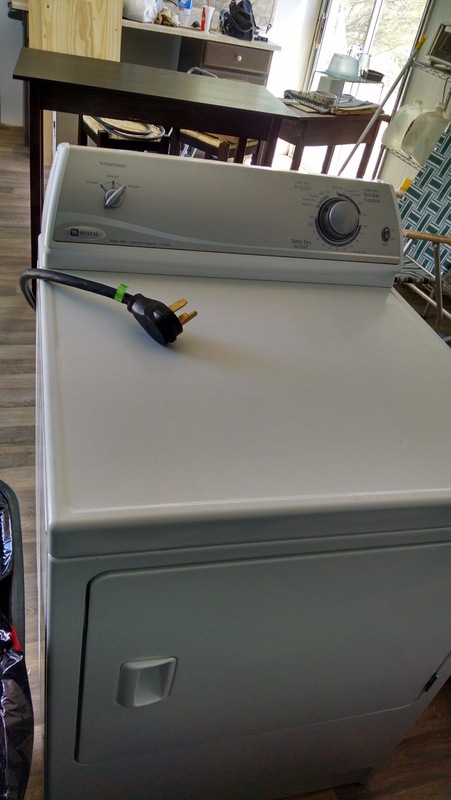 I had been checking the garage sale sites daily for a washer and dryer but hadn't seen one. Now, at 3am, I saw a set within my price range. There was a phone number to call but, of course, I didn't call at that time. I left a comment and then waited to call in the morning. Then I got the cash out of the bank and brought my hand truck, just in case. Around 10am, The seller replied to my comment that the washer/dryer set were pending sale. Oh well, I assumed I had lost them. About 45 minutes later, he posted again that they were still available. I called immediately but he said another couple was coming to see them so I agreed to wait. I was sure they were sold for the second time. He called me back in an hour and said they didn't buy them. I was thrilled and arranged to switch vehicles with my nephew because he had the truck and begged my handyman to take a break from painting to help me load them. As you can see, happy birthday to me. I got them! I don't have a hook up for an electric dryer yet but my coworker said he would help me install an outlet when I am ready for it. 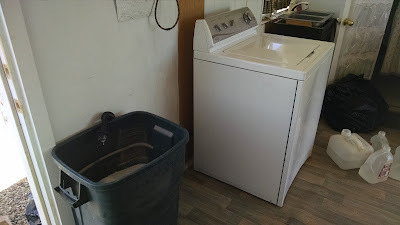 The washer is temporarily in the living room. 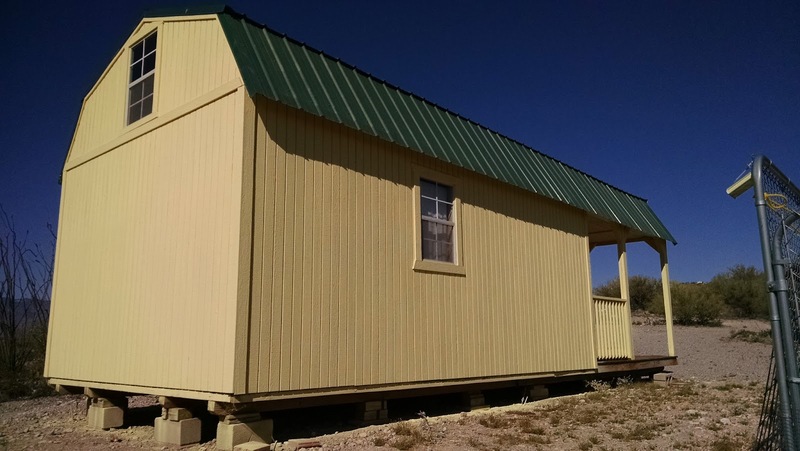 Later, I'll move it to the storage room in the back and hook up water and a grey-water drain that will go to my mesquite tree. 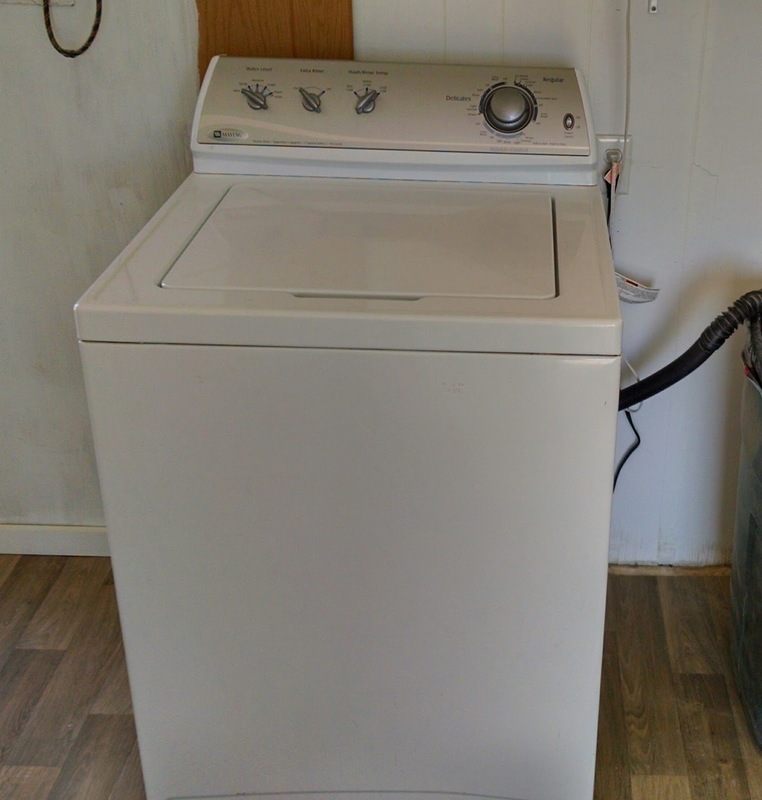 I was so excited to have a washing machine at the mobile home again. 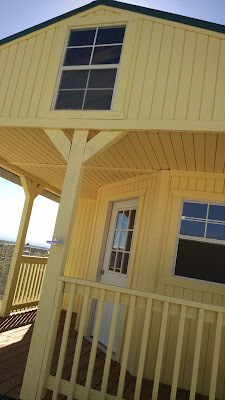 I carried 15 gallons of water by jug and washed the curtains, then hauled the water to the mesquite tree. I don't have much water out there now so I will wait until I have my new 3000 gallon water tank filled with water and then hook up an inlet hose. The tank was delivered to the store on the other side of town and I am waiting for my handyman to be available to haul it to my property with his flat-bed trailer. 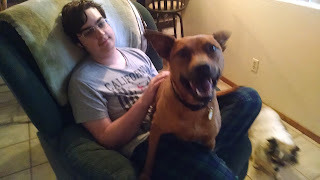 In other news, I got a new dog. I know, mother, I'm trying to get less dogs, not more. Hopefully, I will find a new home for her before I move. If not, the rescue group will find her a new foster home. She was one of a mom and pups that I fostered 5 years ago. It was actually around the same time that my parents and nephew came to live with me. She got adopted by a family but the people got divorced and remarried and now have small children and she is a very energetic dog. I think the new wife just didn't like her. She needs a family that will play with her and take her jogging. 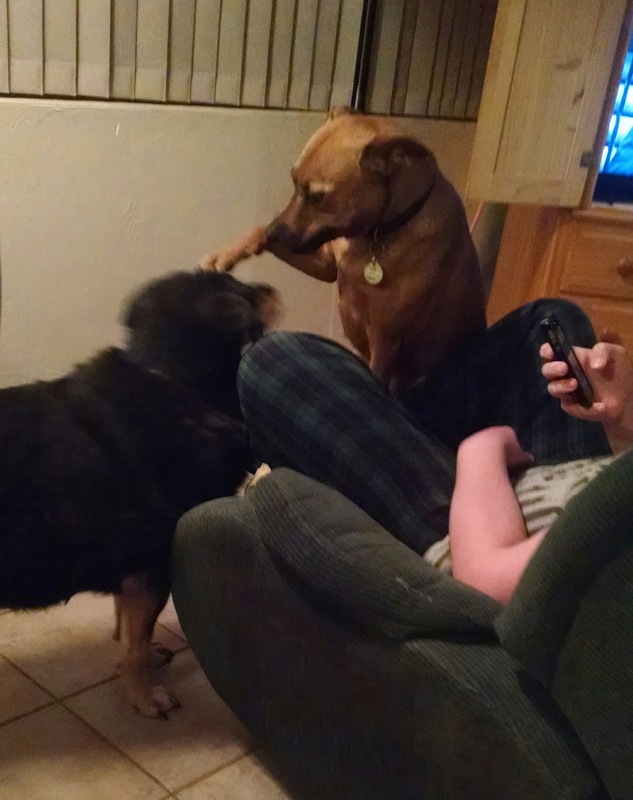 As the only female in a house full of 4 male dogs, she tired of the unwanted attention. She jumped on the chair with my nephew and booped Jimmy-dog on the head as if to say, "Leave me alone." 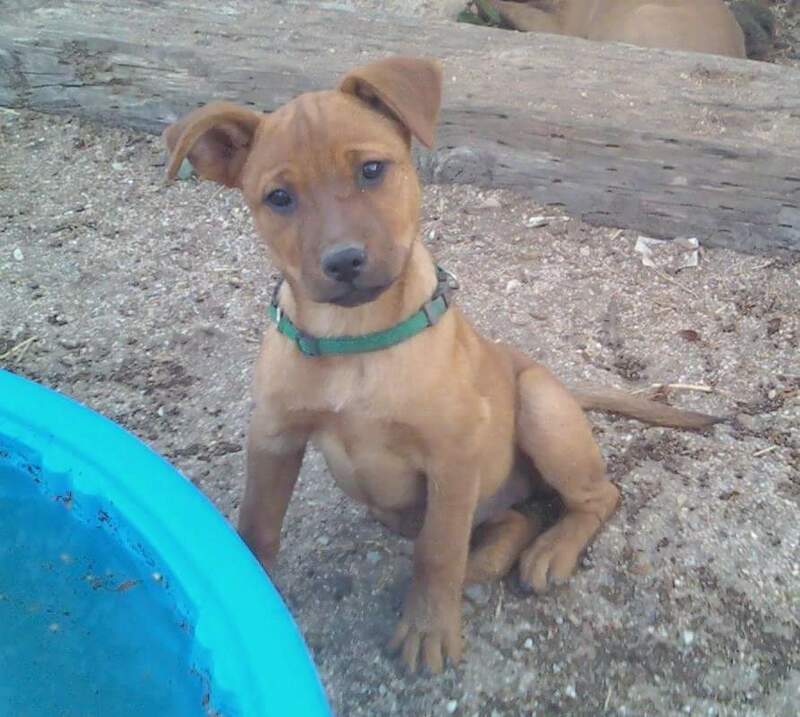 This was her when she was a puppy in my backyard. And this was her mother. 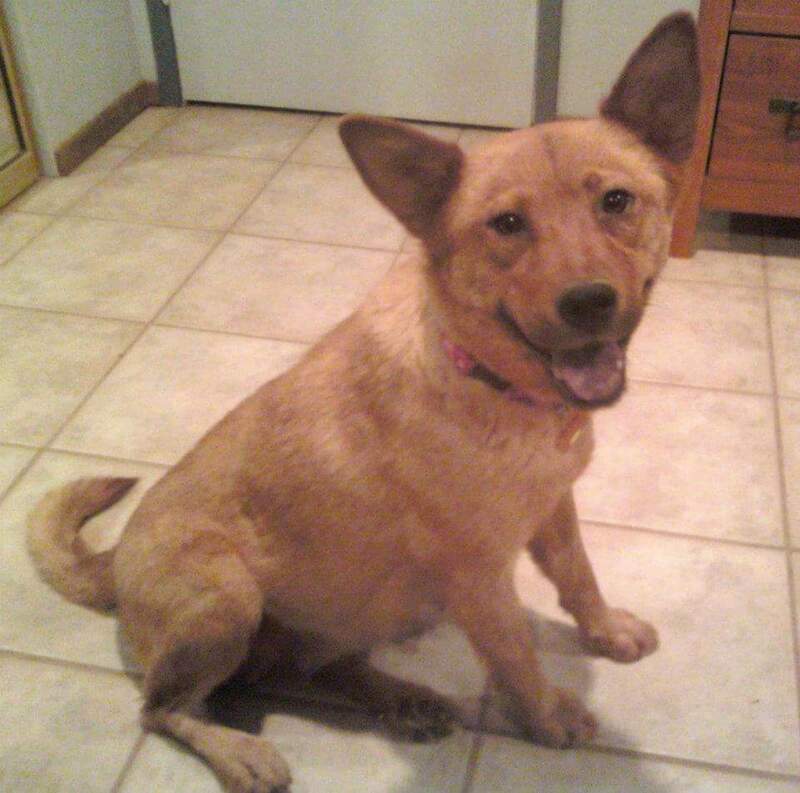 I would call mom a chow chow-cattle dog mix. Daddy was probably a lab-pit bull mix. So, I will be trying hard to find her a family. She doesn't have any medical issues, gets along with large and small dogs and cats, and knows sit, down, shake, and is house trained and kennel trained. All I need is to find a jogger who wants a partner, bonus points if he/she works from home. Those dogs are adorable. Our puppy likes to "boop" other dogs on the head, too. And the barn looks sharp! Well done. Are you going to hold shed-warming party for all of us? And if we dirty our clothes you can wash them for us on site! nice bunch of doggies you have there, too. Thanks! Hopefully I will have the money to finish off the inside next year. I hope she finds a new family soon. She doesn't believe in sleeping late. I'm tired! They are certainly entertaining. I was supposed to be simplifying not collecting more dogs. Lol, I should have had the party when I had that pool. Maybe I'll get another pool one day. She is a challenge for me for sure. There's no sleeping in while she's around. I'm working on getting a dog leash attachment for my bike so she can run off some energy.